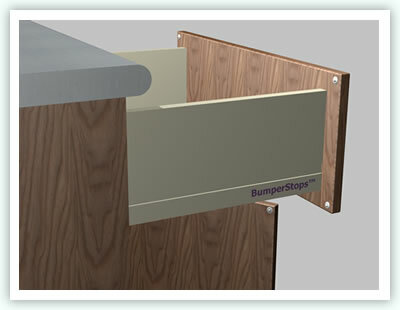 BumperStops have developed a unique range of protective BumperStops™ Protectors using a highly transparent yet resiliant, soft polyurethane material. The raw material used to manufacture these BumperStop™ Protectors has been specially formulated to provide the ultimate in sound dampening performance and has a high tack, high performance pressure sensitive adhesive. Applications for this range of products include any industries where sound dampening properties are required. Typical markets are kitchen & bedroom furniture, Industrial & school lockers, cupboards in boats & caravans.